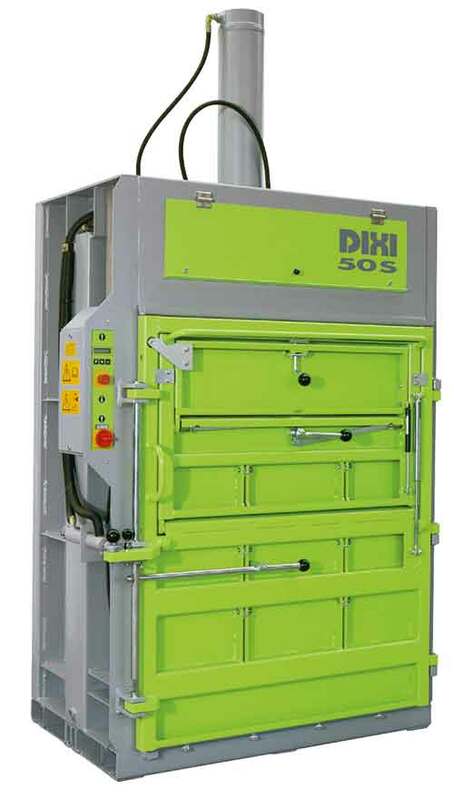 The DIXI 50 S with a pressing force of 50 t achieves bale weights of up to 500 kg. Re-pressing of the bale in the disposal chain is unnecessary. This makes the pressed bales particularly interesting for the marketing of recyclable fractions. The pressing of foil and cardboard or other compressible materials makes these machines an economical and reliable partner in the disposal chain. The DIXI 50 S model series is perfectly suited for the pressing of foil and cardboard. Through the microprocessor control unit with clearly arranged LCD display, the system can be quickly and easily changed-over from cardboard to foil. The special »Foil« setting prevents expansion of expansive materials, such as foil. 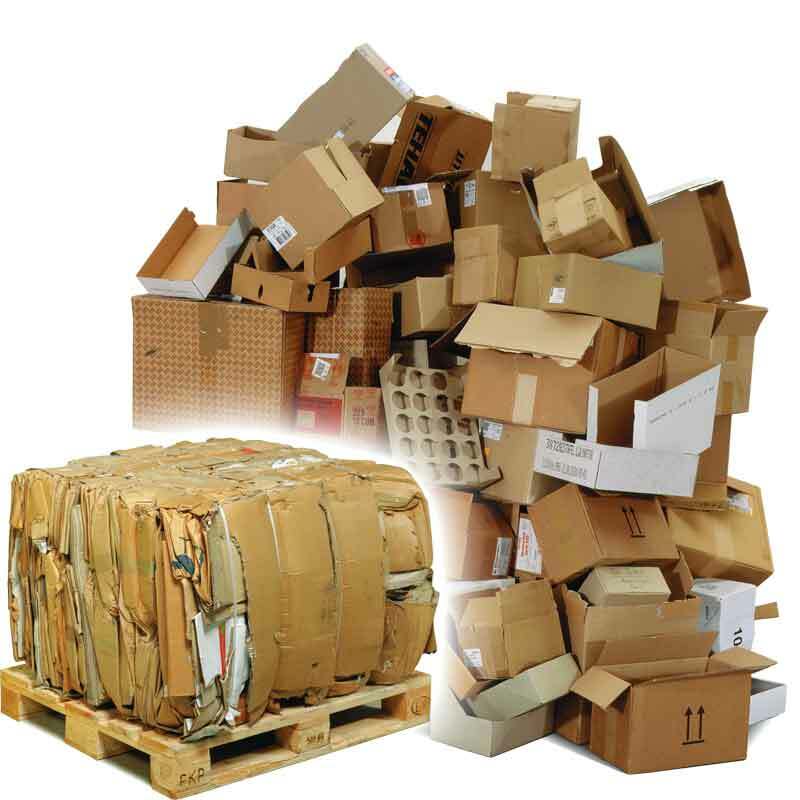 Thanks to the very large fill opening even large pieces of cardboard can be introduced into the bale press. 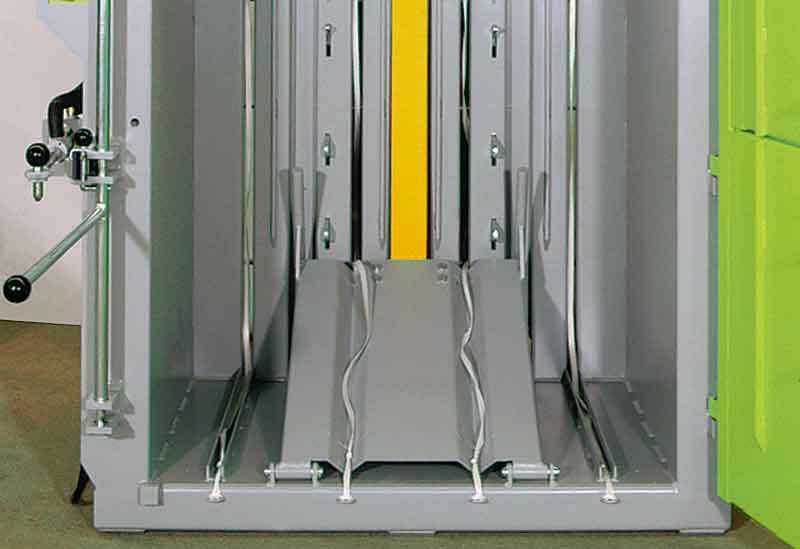 The start automation when closing the filling opening facilitates operation of the DIXI 50 S model series. 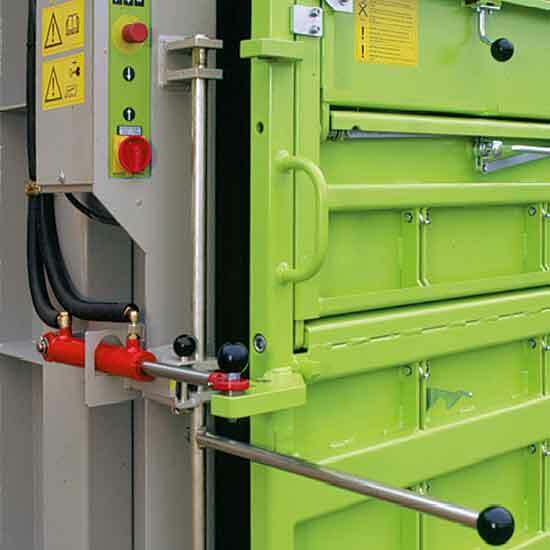 The hydraulic bale ejector ensures the necessary convenience when ejecting the heavy, pressed bales that weigh up to 500 kg. 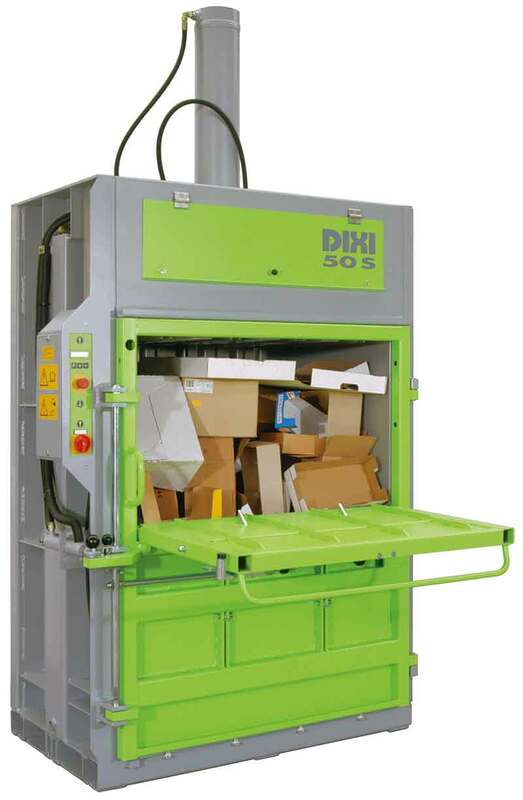 Optionally the DIXI 50 S can be equipped with a hydraulic door opener, this is particularly recommended for material with a strong tendency to expand, such as foil. Multilingual, clearly arranged LCD display. All work functions are displayed. The »bale size« and a pressure change from »paper materials« to »foil material« can be entered. Automatic start function when closing the filling flap – fast process sequence, automatic return stroke. Adjustable pressing time: The pressed material can be kept under pressure. Easy binding of the bales and hydraulic complete ejection. 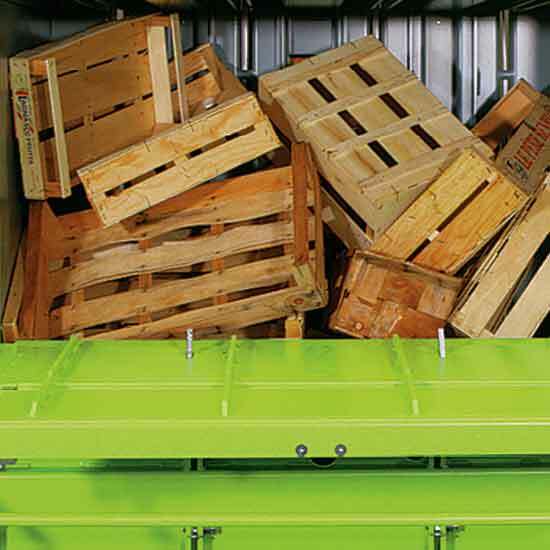 Two-stage hydraulics of the control block guarantee a fast press cycle. Generously dimensioned hydraulic system: High pressing force at low hydraulic pressure and low drive power. 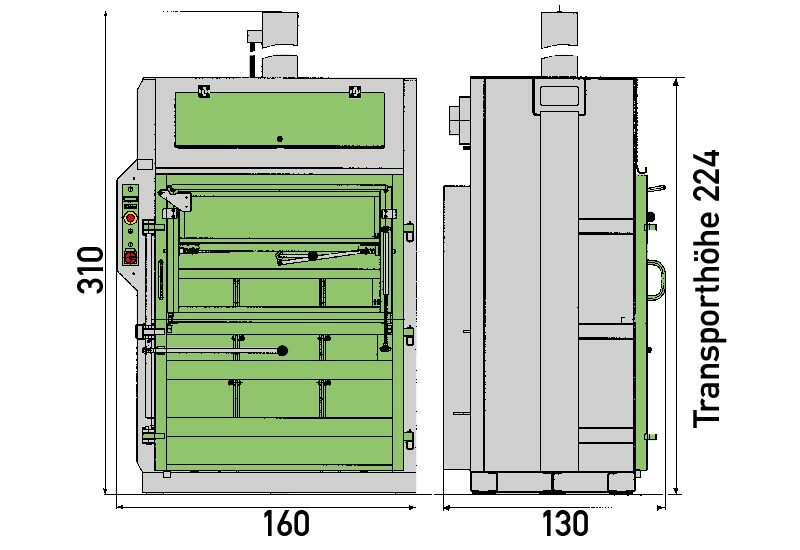 Receive as soon as possible an offer for your baling press.